Is there a better alternative to GitFTP-Deploy? Is GitFTP-Deploy really the best app in FTP category? Will GitFTP-Deploy work good on macOS 10.13.4? 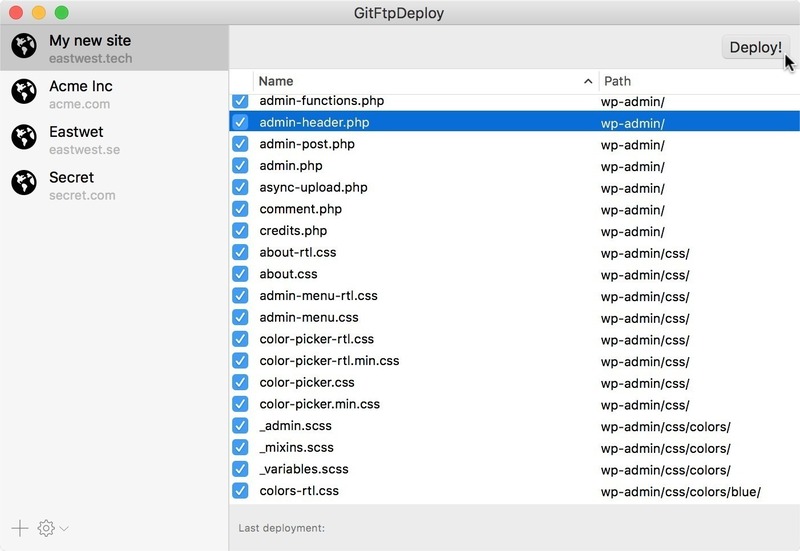 GitFTP-Deploy provides dead-simple FTP deployments for your smaller projects. While working with smaller sites you sometimes need a convenient way of deploying to a shared host where you don’t have access to SSH. The site is maybe a presentation for a company and does not receive regular updates. GitFTP-Deploy needs a rating. Be the first to rate this app and get the discussion started!